As we begin to say goodbye to Summer 2018 and welcome in the warmth of Autumn- Winter, the combination of modest elegance and flouncy fun is making a statement among dresses and becoming the go to this season. ‘Modest- dressing’ is the perfect combination of being chic yet cool but comfortable and classy. Designers such as Roland Mouret, Ulla Johnson and Stella McCartney are capturing ‘modest’ sophistication with style through their long sleeved and long length dresses, as well as featuring many high necked pieces among their collection. This is an excellent alternative and transition from this summer’s popular body-con dress as we start to say goodbye to this trend. Roland Mouret – Dana Dress – Green/ Black / Dandelion. This dress is an excellent example of the modest dress style. It features a flouncy wrap design with long sleeves and knee length asymmetric hem. The darker colours transitions excellently from summer to autumn-winter with the iridescent shiny thread creating a reflection that will catch every eye. It is also a perfect example of moving away from the tight body-con style and towards the playful modesty. Roland Mouret – Taylor Dress – Hunter Green and also available in Ballet Pink – Available at Jane Davidson. This structured yet bellowing dress displays modest dressing at its finest. It was worn by Michelle Dockery at this years Ascot, where she looked elegantly chic. It was definitely a stand out. 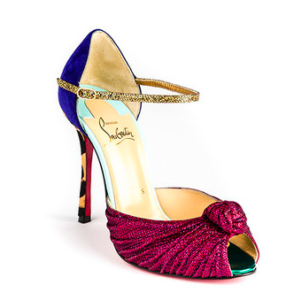 Alongside the ‘modest dress’ a statement shoe can provide a little extra to the dress.